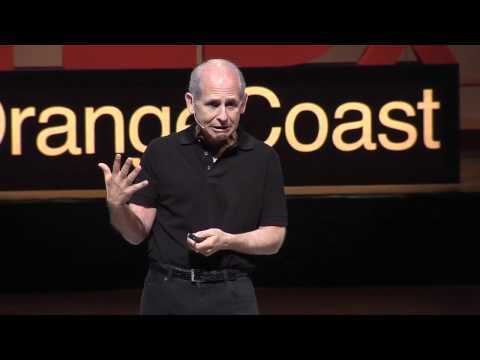 Daniel Amen, MD is a clinical neuroscientist, psychiatrist, and brain imaging expert who heads the world-renowned Amen Clinics. He has published 26 books including the New York Times bestsellers Use Your Brain to Change Your Age, Change Your Brain, Change Your Life; Magnificent Mind at Any Age; Healing ADD; and Change Your Brain, Change Your Body. He is an internationally recognized keynote speaker and the star of several very popular public-television specials. Dr. Amen spearheads the groundbreaking Amen Clinics' retired NFL player brain imaging study. Amen Clinics have pioneered the clinical use of, and maintain the world's largest database of functional brain scans relating, totaling 73,000 scans on patients from 90 countries. Through his books, and the media, Dr. Amen has helped thousands of organizations and millions of people improve their lives by improving their brain health. 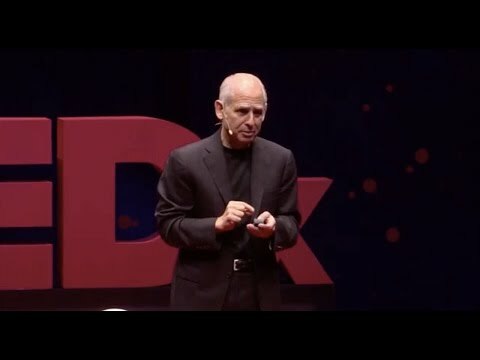 Daniel G. Amen, MD is a physician, child and adult psychiatrist, brain imaging specialist, bestselling author, Distinguished Fellow of the American Psychiatric Association and the CEO and medical director of Amen Clinics, Inc. (ACI) in Newport Beach and Fairfield, California, Tacoma, Washington and Reston, Virginia. ACI is the world leader in applying brain imaging science to clinical practice. ACI has the world’s largest database of functional brain scans related to psychiatric medicine, now totaling more than 50,000 scans, and the clinics have seen patients from 75 countries. Dr. Amen is an Assistant Clinical Professor of Psychiatry and Human Behavior at the University of California, Irvine School of Medicine, where he teaches medical students and psychiatric residents about using brain imaging in clinical practice. Dr. Amen is the author of 35 professional articles, 4 book chapters and 23 books, including the New York Times bestsellers, Change Your Brain, Change Your Life and Magnificent Mind At Any Age. He is also the author of Healing ADD, Healing the Hardware of the Soul, Making A Good Brain Great, The Brain in Love, and the co-author of Healing Anxiety And Depression and Preventing Alzheimer’s. In February 2010, Harmony Books will publish Dr. Amen’s new book, Change Your Brain, Change Your Body. He has also written and produced three recent blockbuster fundraising shows for public television, raising more than 16 million dollars. Dr. Amen, together with The United Paramount Network and Leeza Gibbons, produced a show called “The Truth About Drinking”, on alcohol education for teenagers, which won an Emmy Award for the Best Educational Television Show. Dr. Amen, together with his son-in-law, Jesse Payne, has developed a 12 week high school course on practical neuroscience called “Making A Good Brain Great”. The course is now being taught in 40 states and 7 countries. A small sample of the organizations Dr. Amen has spoken for include: the National Security Agency (NSA), the National Science Foundation (NSF), Harvard’s Learning and the Brain Conference, the Million Dollar Round Table, and the Supreme Courts of Delaware, Ohio and Wyoming. Dr. Amen has been featured in Parade Magazine, the New York Times Magazine, Newsweek, Men’s Health and Cosmopolitan. He is on the editorial board of Men’s Health Magazine. Dr. Amen is married, father of four children, and an avid table tennis player. Does Your Brain Have to Age? Most of us assume that as we get older our memory is bound to deteriorate like an old radio with faulty reception. We figure that losing keys, struggling with names and other signs of forgetfulness are the natural outcome of having lived past 60. This common attitude is usually summed up with a shoulder shrug and four words: “What can you do?” The two-word answer: a lot. Even when your memory has already started unraveling. Even though aging is the single most important risk factor for Alzheimer’s disease and memory loss. Mental decline is not a foregone conclusion as you age. You can have a vibrant, agile memory long past retirement. You just have to be serious about protecting it.